Jewish Life is the heart and soul of Rochelle Zell Jewish High School and infuses all aspects of the school’s culture. The central question of high school is “Who am I?” Both inside and outside of the classroom, Rochelle Zell helps students engage this question as a Jew, an American, and as a global citizen. Students do so in the context of a covenantal community, where every student voice matters and is valued. Rochelle Zell Jewish High School provides students with the knowledge, skills, and leadership opportunities they need to participate fully in Jewish life as passionately committed Jews. The school year at Rochelle Zell revolves around the Jewish calendar, and students learn to approach life with a love for Jewish living. The highlight of each week is Friday morning, when we join together as an entire school community to pray and sing together and hear student Torah reflections, which come both from our classes and student club life. From students’ first moments in school, they are surrounded by community, beginning with a buddy who reaches out during the summer months to welcome them to school. Shortly into freshman year, seniors facilitate the freshmen Shabbaton, where together we celebrate the joys of Jewish living and seniors and faculty members welcome the students to our community. At our core, we build Jewish community through deep engagement with Jewish and secular wisdom and celebrate both inside and outside of the class. Rochelle Zell Jewish High School is committed to ensuring human dignity and crafting a just society. Each year, our community chooses a topic of national and local importance and focuses on it from the perspectives of Direct Service, Education, Advocacy, and Philanthropy. In recent years, DEAP has chosen to focus on mental health and tikkun haguf (bodily health). Students have brought in experts from the field to educate about these issues, volunteered across Chicago, and raised over $10,000 each year to benefit No Shame on U and SHALVA. Students have opportunities both during lunch and after school to be involved in clubs committed to bettering the world, including STAND (global human rights), volunteering at the ARK, fostering interfaith dialogue with Muslim and Christian clergy and teens, volunteering to tutor students with special needs, and more. See details of the program in our student life section of the website. Community-building (kehillah) - strengthen our community by coming together as a community, featuring the unique voices of our student body and leaders from the wider Chicago community. Each day of our tefillah program looks different, with the entire week encompassing our four educational goals. On Mondays we gather in two minyanim (freshmen with sophomores, and juniors with seniors), which feature the weekly Torah reading. 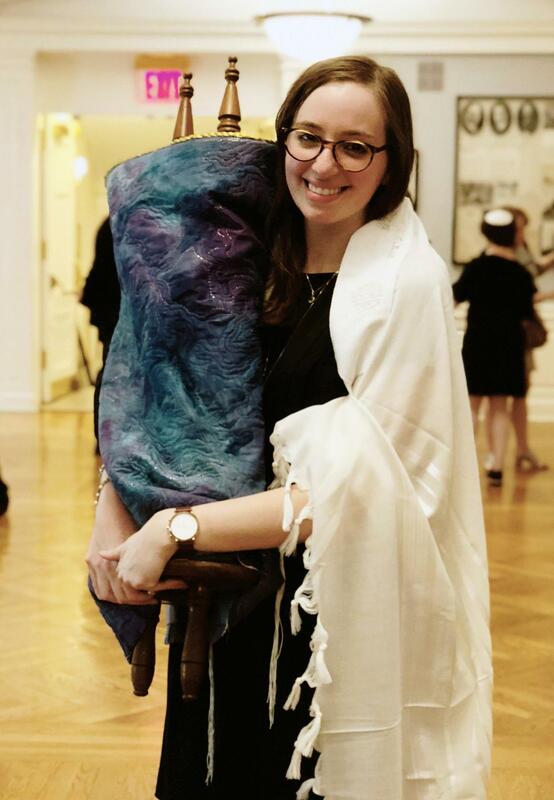 On Tuesdays, the Multiple Minyan Program offers a variety of services designed to appeal to students’ varied aesthetic preferences. Options include a musical minyan, a meditative minyan, a discussion minyan, and more. Each service aligns with the school’s egalitarian religious philosophy and commitment to halachah (Jewish law). On Thursdays, freshmen and sophomores spend time learning the prayers of the daily Shacharit service, which we say each day in school. Our juniors and seniors have the option either to have a traditional service with Torah reading or spend studying the weekly parasha (Torah reading). On Fridays, we join together as a school community for tefillah and hear words of Torah from members of our community and guests. 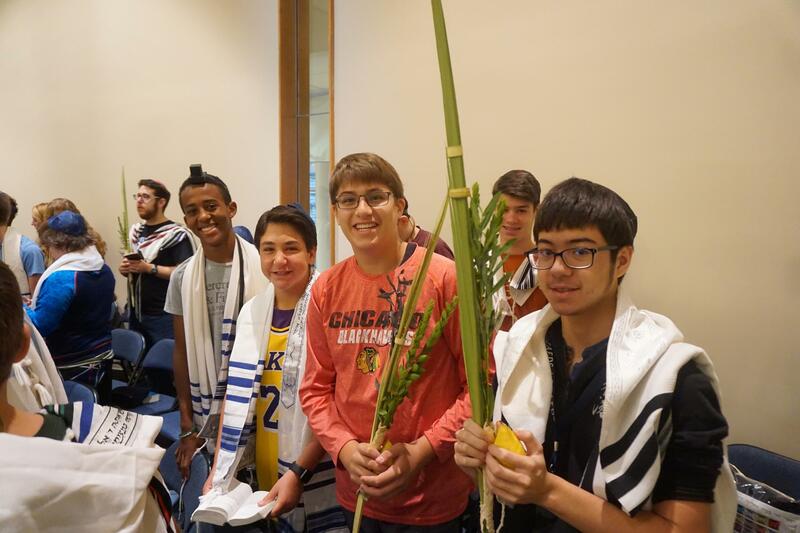 Each day, students have the opportunity to participate in Mincha, the afternoon service. The connection to the State of Israel as the homeland for the Jewish people permeates the school environment. Rochelle Zell seeks to instill in students a passionate, life-long commitment for the welfare of the land and its people. During senior year, students spend first semester of Social Studies studying the History of Israel from 1917-the present. Each year, we have three Shabbatonim, one for freshmen, one for seniors, and one for the entire school community. Each Shabbaton features the opportunity to build community among both students and faculty and celebrate the joy of Shabbat. The programs over the course of the day are planned both by students and faculty. They feature the school at its best, celebrating Jewish life and Jewish time, having fun with friends, and delving deep into discussion topics of shared meaning. The Rochelle Zell Jewish High School calendar is built around the rhythm of Jewish life. Throughout the course of the year, students and faculty observe religious holidays as a community, including important days on the American calendar, such as 9/11, Veterans Day, and Martin Luther King, Jr. Day. One example of our holiday celebrations is Purim, which is one of the highlights of each year. On Purim, we begin our celebration in school and then bring the joy outside of our doors, as each grade volunteers around Chicago during the afternoon. The morning celebration features festive tefillot, followed by Purim shpiels (video parodies of the school) that students and faculty have worked hard to create for over a month. In order to facilitate our students’ observance of the holidays, our faculty is committed to limiting homework demands during certain seasons of the year. Holiday programs and celebrations are developed and run by our Rav Beit Sefer (school rabbi) and a committee of students and faculty. "When I think back to who I had always turned to in my own life, I think of the rabbis of CJHS - they were at the top of my list.